The now-famous Frog Pond, widely recognized as the site of the discovery of deformed frogs in 1995, was originally “just a slough” when European settlers arrived in the mid-1800s. One can only imagine the plethera of wildlife that existed in and around the prairie pothole wetland when small scale farming began here. As agriculture expanded in the early 1900s, the pond was drained to make way for more cropland. Highly productive in drought years, less so in wet cycles, crop production at the site was inconsistent. Ruby Ney’s vision of letting the land go back to nature was realized when she had the pond restored in 1989. Once again, the pond is host to a variety of waterfowl, and attracts mammals such as coyote, deer, raccoons, and fox. Of course, the pond is also host to numerous frog species. Deformities have declined to a near normal rate since the large populations of deformed frogs in 1995 and 1996. Ruby would likely be pleased to see that her vision has become reality at the Ney Pond! Each spring we anxiously await the return of the frogs to the Ney Frog Pond. Their calls can be observed to identify the frogs found in the Ney Frog Pond. Visit the MPCA’s page to listen to frog calls and let us know when you hear them each spring! This account was typed from a handwritten family history compiled by Ruby Ney, the Ney descendent who donated the land to Le Sueur County that eventually became the Ney Nature Center. Ms. Ruby Ney bequeathed her property to Le Sueur County in 1990. Her will stated that the family farm was to be used for the purpose of a wildlife preserve. Her Nephew, Donald Ney, donated an additional 80 acres, increasing the designated property to 446 acres. In 1991, Donald Ney began an effort to create the Ney Nature Center. A board of Directors was formed in 1995 and they continue to return the land to its natural state. All of the crop acres that were part of Ruby Ney’s land donation have been seeded into native hardwoods and prairie. 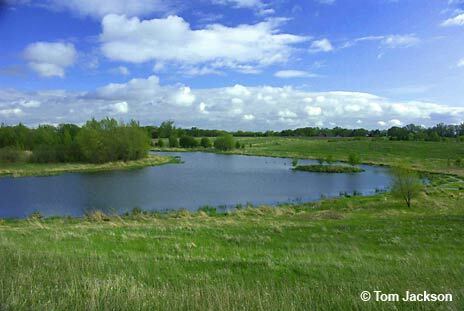 The Ney Nature Center includes a few native prairie areas as well as the 10-acre Restored Prairie as you enter the park from MN Highway 19. 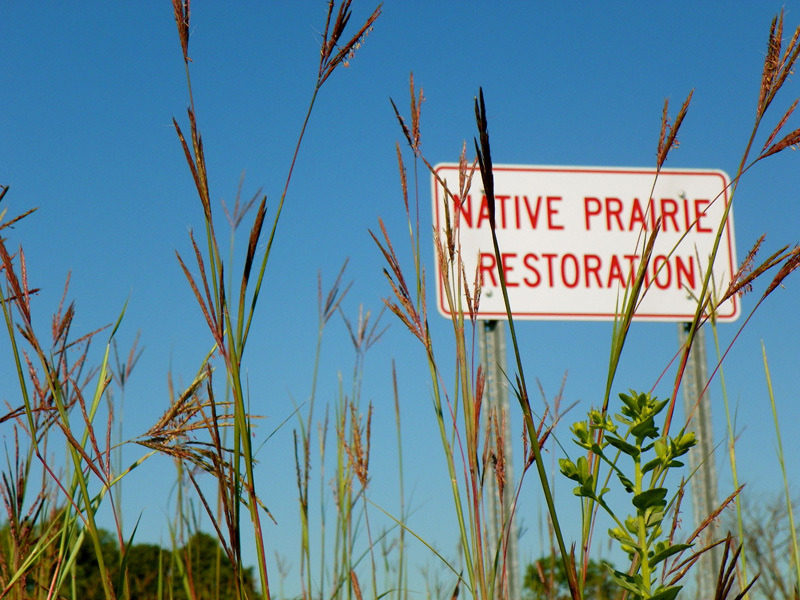 This prairie is home to some great grasses like Big Bluestem, Little Bluestem, and Sideoats Grama to name a few. In late July, all of August and into September the prairie is at its best with blooms of Leadplant, Purple Coneflower, multiple species of Goldenrod, and a Monarch’s favorite for nectoring during migration the Prairie Blazing Star. All summer long Dragonflies and Damselflies whiz around within prairie and may let you observe them as they land among the vegetation just long enough for you to snap a picture. In addition to being an oxcart trail it was on the stagecoach run and for many years following, it was used as a county road, then was later turned over to Tyrone Township. Early automobiles needed a full tank of gas to climb the steep grade. The Ney family in later years maintained it in a condition passable for farm machinery. The northern part of the Oxcart Trail closest to Highway 19 is still in use today as Nature Center Lane. 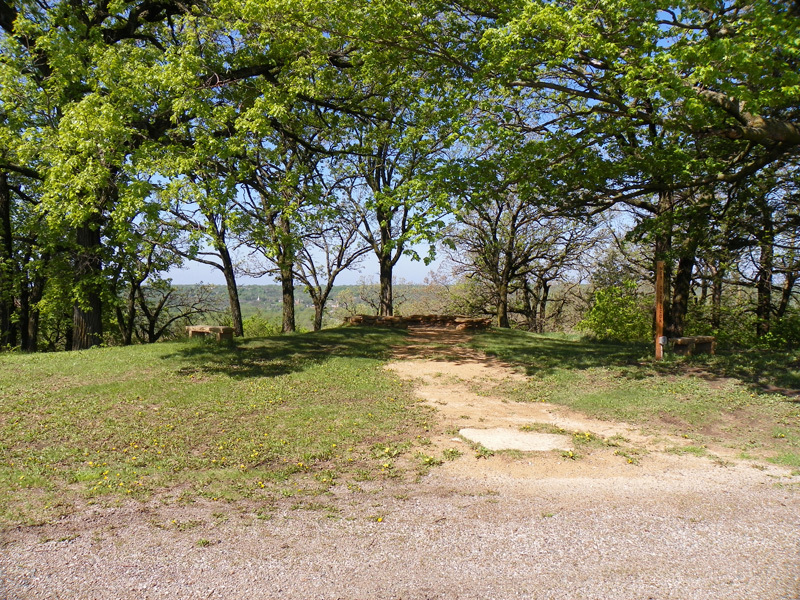 The southern part including the steep hill south of the Ney homestead is a walking path that leads to the East Henderson village site and the Minnesota River.